How simple has printing become to ease advertising? 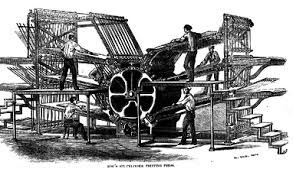 Printing technology has taken great leap from the Johannes Gutenberg type of movable press invented back in the 1450. The invention of Gutenberg had pioneered publishing of great scriptures in the field of literature, religion, ontological treatises, scientific papers and others. Though, the printing industry hasn’t able to carry any major advancement in magnitude like Gutenberg press, however, a considerable progress has been made in last three decades in printing. Offset printing during the latter half of the 20th century has paved the way for many of the other printing technologies that we enjoy today. Below are mentioned some of the technologies that are transforming the economics, chemistry and technical potential of printing. • The area where printing services has taken a swift move is use of remanufactured and compatible printer cartridges. On account of the high costs of many original printer ink and toner products, demand for more affordable alternatives of printing in recent times has been rose to a considerable level and extent. • Biodegradable printer ink is the next revolutionary development in the printing technology that received appreciation and soon accepted by the printing industry. It was for the first time was employed in the U.S in beginning in 1973 at the beginning of the Arab Oil Embargo crisis. The industry leaders sought biodegradable printer ink as a measure to safeguard printing sector from the catastrophic effects of mineral oil crisis. • Ultraviolet radiation-curable ink discovered in 1960 based on UV radiation is extensively employed in various usages in sectors as offset printing, packaging, and manufacturing. In the process of radiation curable ink is treated with ultraviolet. This induces photochemical reaction speeding up the drying of the ink. 3D Printing based upon 3D scanning technology creates 3D objects has vital role in medicine and modeling industry.